Classic Ironworks are specialists in staircases, providing high quality yet cost-effective solutions for your interior and exterior projects. As manufacturers of wrought iron staircases, spiralling staircases, spiral stair kits, wrought iron stair spindles, and more, we can provide you with an integral and bespoke service that will include a free design consultation with our experts. Manufacturing steel steps, wood stairs, and glass staircases, we guarantee to have the perfect solution for any style of property. Your dreams of owning spiral stairs or traditional wrought iron stairs can become a reality when you put your faith in Classic Ironworks for the design and installation of your project. 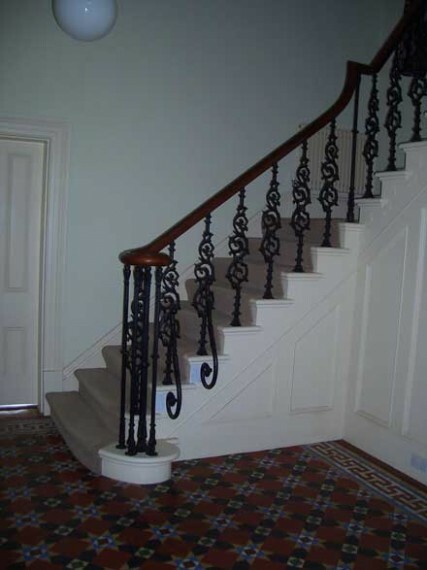 Wrought iron staircases UK are our speciality, and with many decades of experience working with wrought iron, we can successfully match any existing ironwork or architecture of your property. The standard of our wrought iron wrought iron spiral steps and traditional stairs is second to none in the South West, our wrought iron specialists providing a complete manufacture, supply, and installation process that can start from existing ironwork, photos, or even a staircase owned by a neighbour that you have always dreamed of having in your own home. For modern or contemporary homes, select from our wide range of garden steps, wood stairs, steel stairs, and iron stairs. Mix and match the materials used in your projects, stainless steel and glass designs looking stunning on modern or Art Deco properties. We have the expertise to produce any staircase you desire, our portfolio of designs including spiralling stairs built around trees and poles. Our contemporary staircases and modern stair designs are immensely popular with modern builds in and around the Bristol area, our immense range of designs giving us the reputation we have as bespoke staircases experts in the Southwest. Whether you require metal stair spindles for your existing stairs, or you are planning on fitting new metal stairs in your home, we strongly recommend you let Classic Ironworks take the strain of your project. From spiral stair kits, to exotic garden stairways, we have the knowledge and determination to ensure your dream becomes a reality.